The inspiration for this piece came from the hypnotic interlocking of hexagons found in a piece of honeycomb. 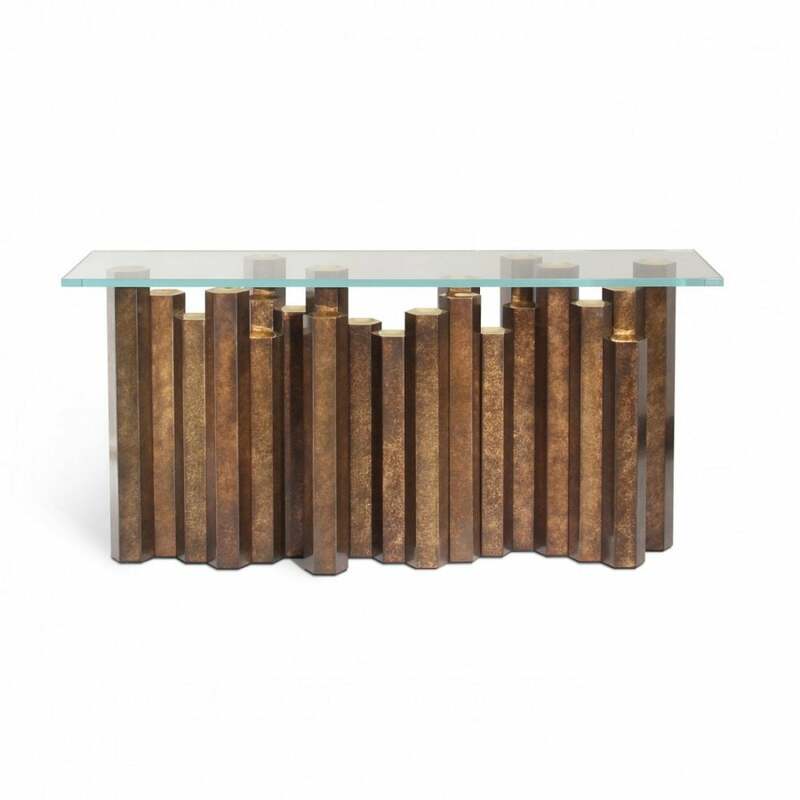 Crafted out of brass, finished in a rich patina and topped off with polished golden crowns and a clear glass top, the Hive Console is a real tour de force. The varying heights of these brass pillars bears an uncanny resemblance to the basalt towers in Fingal's cave, Scotland, but its luxuriously rich colouring and construction has its existence destined for an interior much more beautiful.